A seafood exporter based in Labasa has expanded his business into Sandalwood planting. Great North Seafood Limited managing director, Xiao Zhang Du, owns the only seafood factory in the North which qualifies for the Hazard Analysis and Critical Control Points (HACCP) standard. The company exports their products to China, Hong Kong, Australia, New Zealand, India and Dubai. He said planting of sandalwood was again encouraged by the Ministry of Forestry Northern staff through its tree planting programmes and there was a lot of potential in the industry. 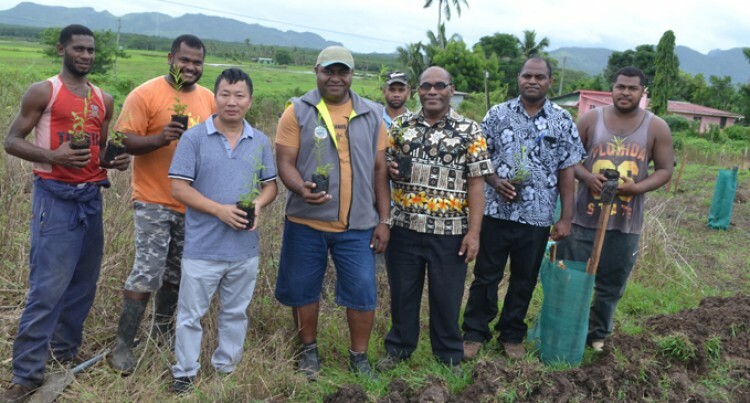 “I bought 1000 seedlings from the woman group to plant at my beach de mer working site at Tuatua in Labasa,” Mr Du said. He said the woman group in Macuata bagged $10,000 after they sold $10.00 per seedling plant to him. “It’s a win-win for both parties as the woman group can continue with their upcoming village project with the money,” he said. Divisional Forestry Officer, Uraia Ratule, stressed sandalwood plants, when harvested, generates very good returns. “Sandalwood is easy to grow, but they need a host plant for their roots,” he said. Sandalwood trees yield fragrant timber and oil and is used in perfumes and incense.